In transition – such as change from authoritarian regimes, from civil conflicts to a democracy or from repression to societal stability – it is essential follow up abuses of human rights by criminal and legal prosecution. This is essential from a legal point of view, but also have important influences on mental health, healing and coping after periods of unrest, injustice and violence. In periods of political transition – that means during the change from authoritarian dictatorial regimes or from civil conflicts to a democracy, from violence and repression to societal stability – it is essential to provide the possibility to follow up abuses of human rights by criminal and legal prosecution. The origins of Transitional Justice dating back to the post World War II period (International Military Tribunal at Nuremberg), these approaches are in the meantime clearly determined by international human rights law. Transitional Justice is now highlighted by the many efforts to bring perpetrators to justice both under national and international law. These processes are important not only from a legal point of view, but have important repercussions on (mental) health and coping after periods of unrest, injustice and violence. This thematic page includes some useful links in relation to Post conflict communities and transitional justice. Here we find some important resolutions and declarations on this topic, worked out during the past years. They represent the most essential framework, implemented already in lots of countries and courtyards in different settings, and to be implemented furthermore in more national panels. The International Criminal Court was founded to “be a permanent institution and shall have the power to exercise its jurisdiction over persons for the most serious crimes of international concern…and shall be complementary to national criminal jurisdictions”. We find here the complete statute as entered into force 1.7.2002. “The right to restitution, compensation and rehabilitation for victims of grave violations of human rights and fundamental freedoms”. UN Declaration of Basic Principles of Justice for Victims of Crime and Abuse of Power from 1985. United Nations Office for Drug Control and Crime Prevention, UNODCCP 1999. This handbook (51 p.) outlines the UN declaration of Basis Principles of Justice 40/34, with advice and guidance how that can be pursued. This represents a detailed handbook (133 p)which tries to explain the “use and application” of the UN declaration of basic principles of justice for victims of crime and abuse of power from 1985. This is based on the conviction that victims should be treated with compassion and respect, and that they are entitled to prompt redress through access to the criminal justice system. Declaration of Cooperation – Mental health of refugees, displaced and other populations affected by conflict and post-conflict situations. This WHO-declaration is intended to serve as a working instrument, providing framework to achieve consensus and cooperation. The implementation of transitional justice in international law, and the increased consciousness on this topic made it possible that during the past years tribunals could be established in the aftermath of (civil) wars and armed conflict. Here we are listing some web-sites and literature which give an overview over some examples. 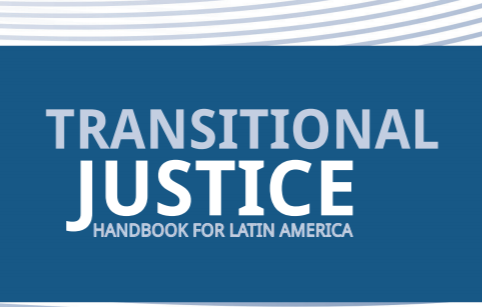 The transitional justice toolkit was developed for circumstances unlike most of today’s violent conflicts. It needs to be re-thought to provide results on issues that matter most to victims. This article contributes to the debates around concepts of truth, confession, forgiveness and reconciliation. The theoretical discussion shows to what extent these concepts are interconnected, and share a complex relation with justice and reconciliation. It argues that the knowledge about past violence is hardly a canonical truth. It is at best a negotiated truth. This knowledge is inevitably a combination of facts and interpretations. This knowledge is sought and used for understanding past violence but also for paving a way towards the reconstruction of post-conflict societies. At the close of his visit to Sri Lanka in late October 2017, the UN Special Rapporteur on the promotion of truth, justice, reparation and guarantees of non-recurrence, Mr Pablo de Greiff concluded that Sri Lanka “continues to deprive itself of the benefits of transitional justice.” In 2015, the Sri Lankan government co-sponsored UN Human Rights Council Resolution 30/1 on promoting reconciliation, accountability and human rights in Sri Lanka. Overview of the proceedings of the ECCC, the hybrid tribunal created in 2006 to try senior leaders of the Khmer Rouge and those “most responsible” for the crimes that took place. The court has five suspects in custody and has almost completed its first trial which began in March of 2009. This brief (5 p.) article highlights the problems to provide controlled exploration and examination of mass graves in Iraq, during ongoing war/conflict and no officially established crime court. Important consideration, although maybe some outdated by newer history and development in Iraq. This articles outlines (10 p.)the significant ongoing changes in Argentinia, regarding the investigation and prosecution of human rights violations that occurred from 1976 to 1983. In this book (66 p) we find a summary of a study The Internat. Center for Transitional Justice together with the Advocacy Forum had carried out during 2007. It was about the victims` perception of issues such as truth, justice, reparations, reconciliation, and the general transition in Nepal. The conclude with some advice and policy recommandations. A report on the implementation of a truth and reconciliation commission the Liberian government has launched, to probe human rights abuses in the past. This report is a brief summary of truth commission in Sierra Leone; it provides useful information on conclusions, recommendations and subsequent developments. This interim report covers the activities of the Truth and Reconciliation Commission of Canada on traumatized Aboriginal people who forcibly were assimilated into the Canadian mainstream by eliminating parental and community involvement in the intellectual, cultural, and spiritual development of Aboriginal children The report summarizes: the activities of the Commissioners, the Commission’s interim findings, the Commission’s recommendations. The site is intended to be a brief sketch of the method by which an investigation of the gross human rights violations committed by the Islamic Regime of Iran in the 1980’s will take place. There is a growing body of comparative research that seeks to produce empirical evidence and, thereby, contribute to policy debates on the relative merits of truth commissions. However, these efforts have been plagued by a lack of attention to case selection. The lack of consensus on what constitutes the universe of truth commission cases has contributed to a pattern of inconclusive, inconsistent findings. This article reviews the empirical literature and finds over 70 potential truth commission cases. After examining some of the reasons behind such disagreement, Brahm offers Freeman’s (2006) typology of investigative commissions as the best suited to advance research in the field. A full tally of the war’s horrific violence requires estimates, models, and sophisticated pattern analysis to understand who’s responsible and why. Hundreds of thousands of people have been killed and millions more displaced by this five-years-and-counting conflict. But what does this catalog of shattered lives mean? How can we gather accurate statistics about the patterns of killings in Syria and use them as a tool to bring the perpetrators to justice? Here we have a collection of sites and articles working and reflecting on the topics of and connection between reparation, (mental) health recovery and reconstruction of socioeconomic stability. Over 1 Billion persons have been affected by mass violence in recent years; many have developed mental health related disabilities affecting their well-being, productivity and peaceful existence. This Book of Best Practices aims at achieving a rational, culturally sensitive and feasible comprehensive system of mental health care in post-conflict societies. medical and social aspects at both the individual and community level. Restorative justice, when trauma informed, has a great potential to effectively contribute to sustainable peace in post conflict settings. An evidence based example of a program illustrating such effect is community based sociotherapy in Rwanda. This article documents what this program has achieved in terms of restorative justice, following the closure of Gacaca, the community based justice system that was in operation in Rwanda nationwide from 2005 to 2012. This policy analysis provides insight into the ongoing process of mental health reform and the difficulty of sustaining such reform in post-conflict areas. It is based on experiences in Bosnia Herzegovina and Kosovo in the former Yugoslavia. This article (65 p.) discusses various aspects in rehabilitation and redress/reparation, why this concept seems to be still elusive, and the international lack of agreement. Useful and detailed overview. Target group: people working with reparations on professional level . This article is an abstract of the examination of the degree to which participation in the TRC is related to the current psychiatric status and forgiveness among survivors. Here the connection between truth commissions and beneficial psychological consequences is discussed, as well as the terms reconciliation, retribution and the individual process of healing work. Target group: professionals in working with reparation. Forgiveness and Reconciliation: Paradise Lost or Pragmatism? In this article (12 p.) we find lots of considerations and thoughts on the concepts of forgiveness and reconciliation. Previously the domain of philosophers and theologians the have become more integrated in discussion on political transition. Specially in societies coming out of conflict these topics are complex and difficult in discussion. Special Report (12 p.) after a 3-day-conference about this topic, organized by the UN-institute of Peace. The article emphasizes on the important role of government to secure and support the TRC’s recommendations otherwise “survivors lack the means to deal with material and psychological consequences of apartheid violence, and must face enormous hurdles to have their demands heard”. Contains a rhighly relevant intervju with ICTJ Senior Program Adviser Howard Varney, a practicing advocate at the Johannesburg Bar, who worked with the South African Truth and Reconciliation Commission and continues to represent victims of past conflicts in the courts of South Africa to vindicate their rights. In this article sheds the light on some ways to ease the process of dealing with the past, these include the establishment of official, socially recognised and creatively composed bodies. This article speaks about the Truth and Reconciliation Commission (TRC) established in South Africa, with the express purpose of facilitating a truth recovery process aimed at reconciling with the past. According to the objectives of the latest draft of the Promotion of National Unity and Reconciliation Bill this process of reconciliation is to occur through the establishing of as complete a picture as possible of the causes, nature and extent of past abuses. The so-called “victims” of these abuses will be located and allowed to relate their stories so as to restore human and civil dignity. It is well known that survivors of war, conflict and disaster need to be attended not only for their own healing process, but also because that healing is necessary to social reconstruction. Also transitional justice – to establish this social reconstruction furthermore – itself can be the beginning of a healing process, because just the fact to be heard can be essential. Here we tried to collect some handbooks which additional to general outlines focus on this side of transitional justice. The Handbook for Repatriation and Reintegration Activities (264 p.)is a guide for United Nations High Commissioner for Refugees (UNHCR) and partner staff in the field to plan, implement, monitor and evaluate repatriation and reintegration activities. explored the normative and legal role of rehabilitation as a form of reparation in times of transition. This paper (120 p.) represents a great collection of service guides and packages concerning various themes within the topic “mental health policy”. Here we find also mental health legislation and human rights, as well as advocacy and organization. 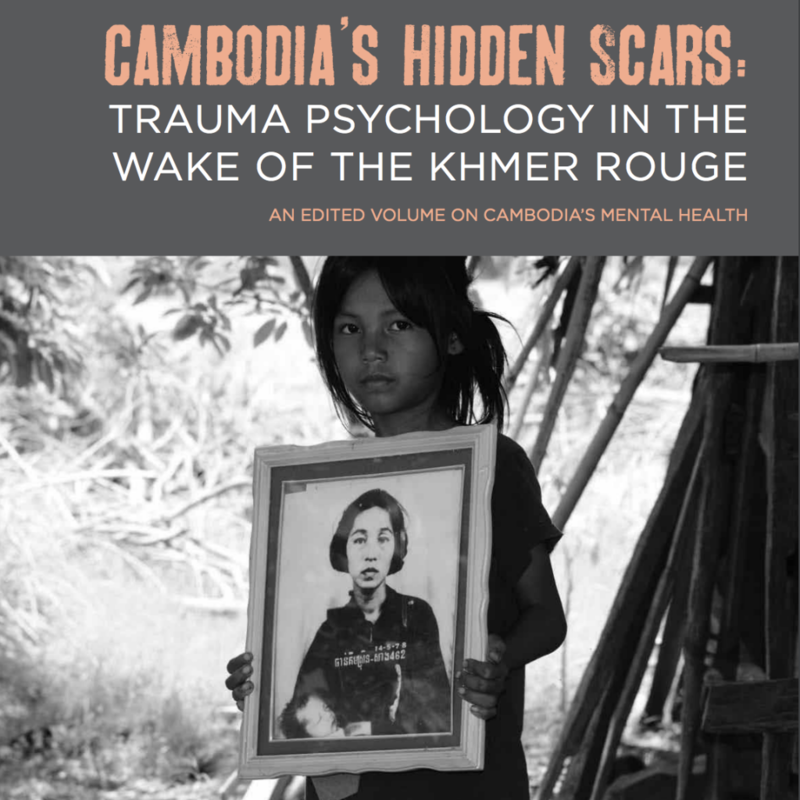 This guide (126 p.)provides a great overview over the topic psychosocial trauma healing in post-conflict social reconstruction. It is given a description of stress-/trauma-symptoms, offering exercises turned out to be useful, guidelines to set up training settings for survivors, all with the insight that healing is necessary to social reconstruction. Target group: clinicians. This is a very detailed book (244 p.) containing almost all approaches within the challenge to help in the aftermath of war, conflict or disaster to develop a stabile community (unfortunately no focus in special on mental health). It is widely recognized that women often are primary victims of conflict. During war, women are displaced, subjected to sexual violence, and assume the caretaking role for children and the elderly. They are vulnerable to exploitation, abuse, sexual slavery and forced recruitment into armed groups. Yet, as survivors of violent conflict, women also bear the burden of reconstruction. They return to destroyed communities and begin the process of rebuilding and restoring. Since they, in many ways, hold the “leadership” in a transitional period, it is important to have a special focus on women when discussing transitional justice. This report (24 p.) summarizes the challenges in supporting women in the process of transitional justice, also focusing on the important role women play here. There are also suggestions how to implement solutions. justice. It is clear that, although the EU labels its approach as inclusive, flexible and gender sensitive, the actions proposed do not follow suit. This thesis analyze the relationships between mechanisms of transitional justice and gender-specific crimes. The work is based on a study of two case studies. The first is South Africa, which, after Apartheid, favoured restorative justice; and whose leading initiative was the Truth and Reconciliation Commission (TRC). The second case study concerns Cambodia which has set up, with the help of the UN, a hybrid tribunal. The goal is to focus on how gender justice and equality requirements within the context of re-establishing rule of law and post-conflict peace-building can best be addressed and operationalized. We know post-conflict transitional periods are key opportunities for the transformation of gender power relations and rights; and state transformation. Recognizing the differences between women’s and men’s experience during the immediate post-conflict or transitional period, and consequently including the particular needs and abilities of women and men in postconflict reconstruction, is fundamental to create lasting peace and foster equitable development. The World Bank endeavors to better understand both gender and conflict dimensions in its work. This book (352 p.) presents an overview over the topic as well as some case-studies (South Africa, Guatemala, Peru, Rwanda, Sierra Leone, Timor-Leste). We find examples of “first positive practices of incorporating gender thinking into transitional justice measures and processes”, and it states how peace building and reconciliation, development in the aftermath of violence can be supported by gender-sensitive planning and policy. Target Group: professionals. South Africa’s gendered past was never substantially addressed by the South African Truth and Reconciliation Commission (TRC) despite attempts by women’s groups to ensure its inclusion. Presentation of some programs and funds USIP is taking care of. The institute strives to encourage more practice and scholarly work on women, and seeks to deepen understanding of the role of women in conflict and peace. Children are among those most affected during war, armed conflict, disaster – and in many instances they have been targeted for killings, disappearances, under-age recruitment, sexual violence, torture and other grave violations of their fundamental rights. Having been witnesses and victims of the crimes of war, children have a key role in addressing those crimes and in reconciliation and peace-building processes in their communities. Children and adolescents contribute a tremendous pool of capacity, energy, ideas and creativity, and as countries emerge from societal or political violence, that vital human resource is urgently needed. This website provides a great overview on this topic, with links highlighting all the different challenges when trying to address human rights violations especially in children. Target group: mostly professionals working on this subject, but also interested clients. This great book (445 p.) provides a great overview over this broad topic. It outlines the necessity to focus especially on children as innocent victims, and the problems in the aftermath of disaster to establish justice. Also in this book we find several examples from recent years where f.e. truth commissions could be established (South Africa, Sierra Leone, Uganda, Liberia, Peru). Target group: mostly professionals working on this subject, but also interested clients. Some thoughts about background of the topic, challenges and opportunities. social services to their citizens as part of a strategy to support collective healing and secure peace. Engaging Children and Youth in Transitional Justice. Children and youth are among the most vulnerable groups affected by violence in armed conflict or massive abuses of repressive regimes. If breaches of basic human rights become the norm, they are left acutely vulnerable to physical harm, psychological trauma, displacement, recruitment by armed factions or other forms of exploitation. Recommendations for policies and procedures for addressing and involving children in the Truth and Reconciliation Commission. Transitional justice represents itself as both a discourse and practice that exists primarily to support victims of human rights violations and gains its moral legitimacy from the fact that victims are deserving and the claim that transitional justice has the aim of acknowledging victims and providing redress. Here, this claim is interrogated in the light of a practice that actually appears to be rooted in liberal state-building and for which victims are an essential instrument of prescribed mechanisms of transitional justice, such as trials and truth commissions. The objective of this paper is to explore the initiatives and practices of different countries in truth seeking. Many countries during the post-conflict, colonial, slavery, anarchical and cultural genocide periods establish the Truth Commissions to respond to the past human wrongdoings: crimes and crimes against humanity. Enforced Disappearances (ED), killings, rapes and inhumane tortures are wrongdoings. Truth Commission applies the method of recovering silences from the victims for structured testimonies. The paper is prepared based on the victim-centric approach. The purpose reveals the piecemeal fact-findings to heal the past, reconcile the present and protect the future. Eduardo González , Elena Naughton, Félix Reátegui, 2013. The organizers had grappled with what seemed like a singular paradox. Several truth commissions had been created after armed conflicts, with a growing tendency towards uniformity in their mandates. At the same time, knowledge of the challenges faced by truth commissions has continued to grow, with a strong prescriptive bent, derived from the observation of comparative experiences. Despite the expansion of this collective knowledge, however, some recent truth-seeking processes have gone through near-paralyzing crises. While there is growing interest in examining what long-term impact truth commissions have on society, our understanding has been hampered by a number of empirical problems. Specifically, most studies focus on a small biased subsample of cases, rely on anecdotal evidence and normative conviction, and fail to follow the truth commission’s legacy beyond its immediate reception. What is more, although a range of purposes have been put forward for truth commissions, there is little consensus on what criteria might be used to assess them. These issues are further compounded by a growing chorus of critics who see truth commissions as either ineffectual or dangerous. The aim of this study was to explore the experience of victims who testified at the public hearings of the Human Rights Violations Committee, their evaluation of their participation and its longer-term impact on their lives. It seeks to engage both immediate reactions at the time of the hearing with reflections on how deponents view the experience within the broader context of interaction with the TRC. A comparative study of truth and justice commissions within the Commonwealth: lesssons that can inform The Kenyan process. Having looked at various Truth, Justice and Reconciliation commissions within the commonwealth, the paper will draw attention to key features of the commissions and compare them with the provisions in our TJRC Act and this will be followed by recommendations of how the Kenyan process can be improved to meet the standards of the best of the commissions and to avoid the pitfalls of the inadequately performing commissions. This essay identifies a number of problematic issues concerning transitional justice and restorative justice in particular and suggests that they can be fruitfully explored through thoughtful examination of the truth-seeking projects of this issue’s case countries: South Africa, Rwanda and Sierra Leone. Truth Commissions: Did the South African Truth and Reconciliation Commission serve the purpose for which it was established? The research focuses particularly on the study of the South African Truth Commission. The mandate of the South African Truth Commission is analysed; and the investigation into whether the commission served the purpose for which it had been established is discussed. The purpose of the bibliography that follows is to give students, researchers, and practitioners, many of them new to the field, a sense of the scope of this burgeoning literature and, by consulting the annotations attached to many of the more influential works, a sense of its depth and thematic concerns, as well (The bibliography is limited to works published in English). ”Ending torture, seeking justice for survivors” – REDRESS is a human rights organization that helps torture survivors obtain justice and reparation. Redress works with survivors to help restore their dignity and to make torturers accountable. Collection of all topics concerning international law, links to legal texts and tools. USIP provides with lots of information not only on transitional justice, but also on different other related topics. Professor Brandon Hamber is Director of the International Conflict Research Institute, a clinical psychologist his work focuses on the psychological implications of strategies for dealing with a violent political past (truth commissions, reconciliation, truth recovery processes etc). The website collects lots of informations and links concerning Transitional Justice and related topics. This Court is located in Costa Rica, an autonomous judicial institution of the Organization of American States, established in 1979. The International Criminal Tribunal for the former Yugoslavia (ICTY) was a United Nations court of law that dealt with war crimes that took place during the conflicts in the Balkans in the 1990s. During its mandate, which lasted from 1993 – 2017, it irreversibly changed the landscape of international humanitarian law. CSVR works to prevent violence in all its forms, heal its effects, and build sustainable peace and reconciliation in South Africa and internationally. A leading center in developing the field of transitional justice, the study of law in societies emerging from conflict. TPO Cambodia is a Cambodian NGO that works in the field of mental health and psychosocial interventions. It is TPO’s mission “to support those who are unable to care for themselves due to mental illness, poverty and lack of support by developing programmes that directly benefit people at the grassroots level, by improving their mental health and thereby increase their ability to care for themselves and their families. A non-profit, non-partisan organization that applies rigorous science to the analysis of human rights violations around the world. A non-partisan—but do not take sides in political or military conflicts, nor do they advocate any particular political party or government policy. However, not neutral: they are always in favor of human rights. They support the protections established in the Universal Declaration of Human Rights, the International Covenant on Civil and Political Rights, and other international human rights treaties and instruments. ICMP is actively engaged in developing institutions and civil society capacity, promoting legislation, fostering social and political advocacy, and developing and providing technical expertise to locate and identify missing persons. ICMP works with governments to develop their institutional capacity to address the issue of missing persons efficiently and impartially.